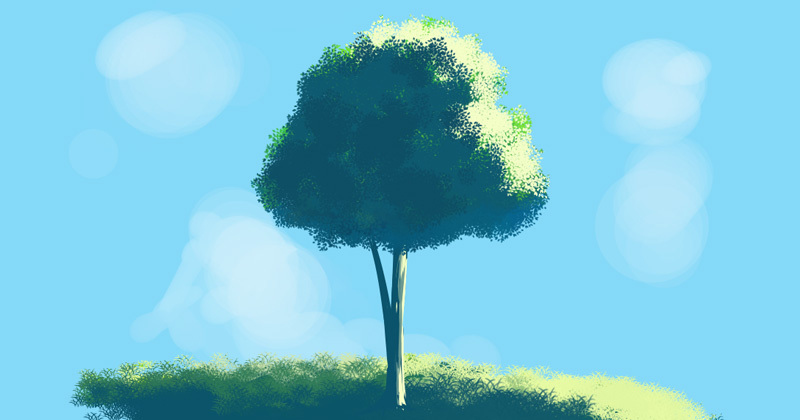 In this quick tutorial, I will show you how to create your leaves and grass brush with Medibang Paint Pro and FireAlpaca. 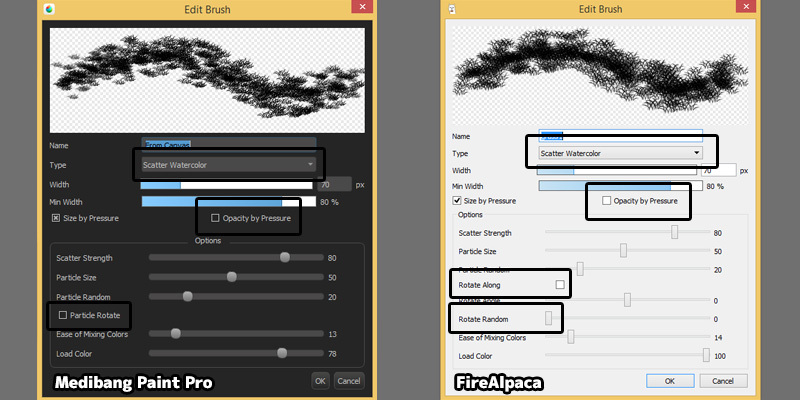 Since both softwares are similar, steps to create custom brush for them are similar too. 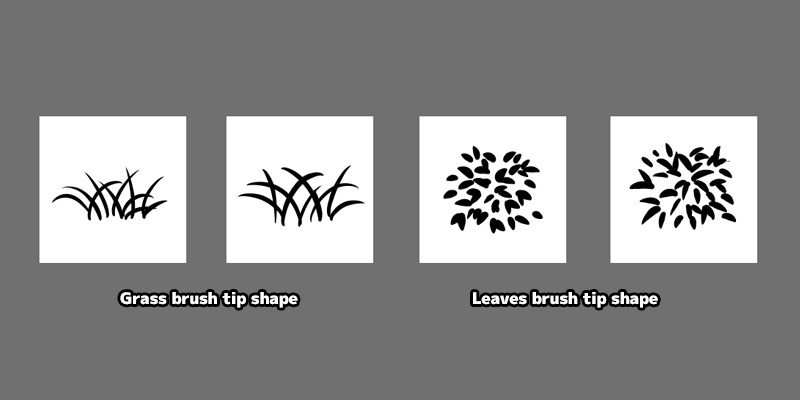 Draw the brush tip shape for leaves and grass using the normal "Pen" brush and save them as MDP or PNG format. 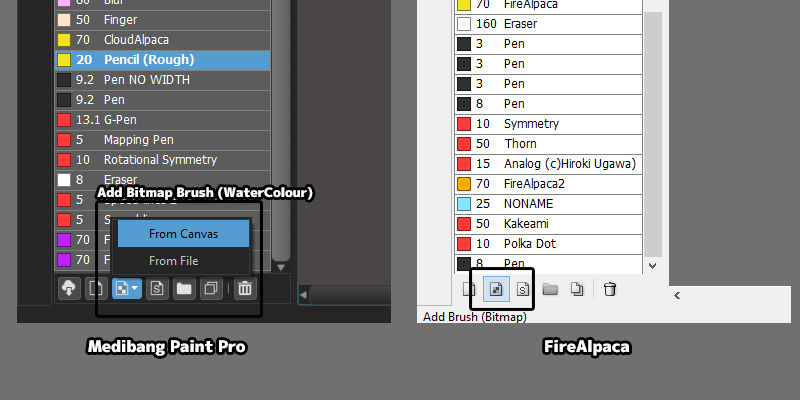 Convert the image we draw into bitmap brush by clicking the "Add Brush (Bitmap)" button under brush panel. Select the MDP or PNG brush tip file we just draw in the popup file browser. 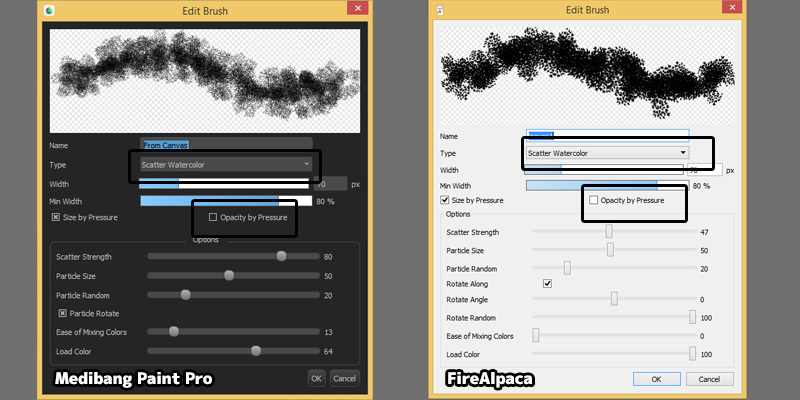 For MediBang Paint Pro, it is possible to create a brush without saving the brush tip image first by using "Add Brush (Bitmap) > From Canvas". This save us one extra step of saving the image. Change Type to "Scatter Watercolor". This type of brush will scatter the brushtip image and auto blend colours. Disable "Opacity by Pressure". Disabling this give more solid colour painting. Change Type to "Scatter Watercolor". In MediBang Paint Pro, disable "Particle Rotate". In FireAlpaca, disable "Rotate Along", "Rotate Random". We disable this option so we wont have upside down grass in our painting. The brush settings still can be change under the brush panel.